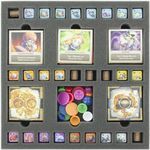 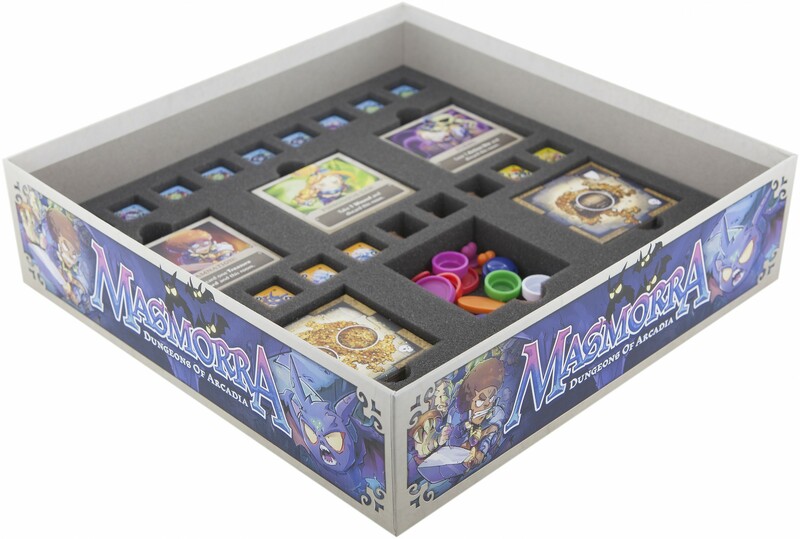 Complete set with 43 compartments for all figures, cards in sleeves, tokens and map tiles from the original Masmorra: Dungeons of Arcadia - Core Box. 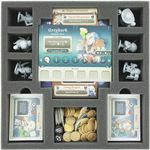 The set fits: the monster dice, cards in sleeves, small and medium dungeon tiles, the heroes and all tokens. 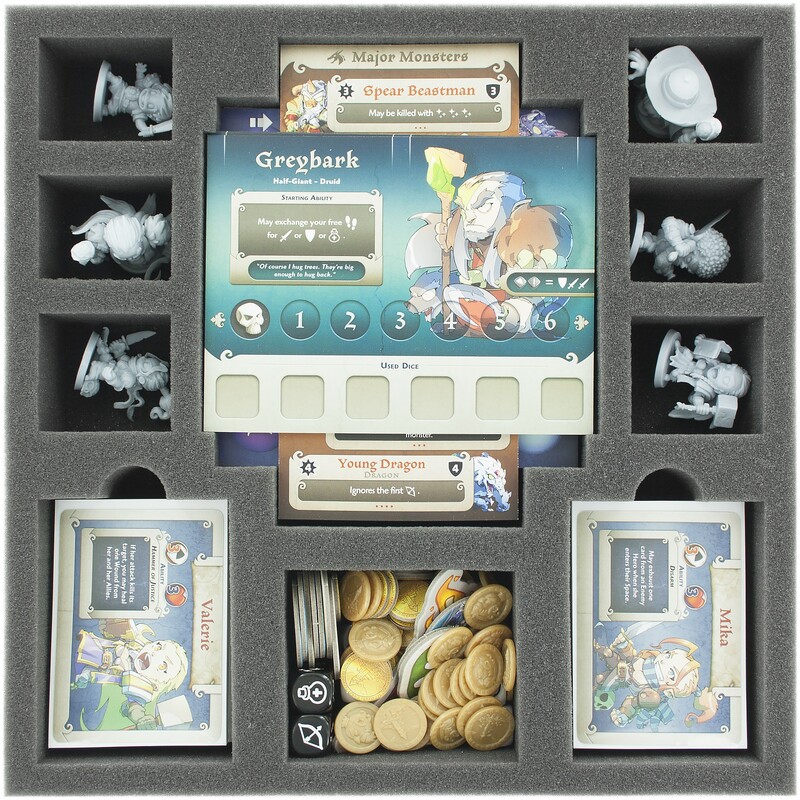 The foam trays fits perfectly into the original board game box, or into the Feldherr box LBBG. In addition, the set also offers a free compartment for a hero, e.g. 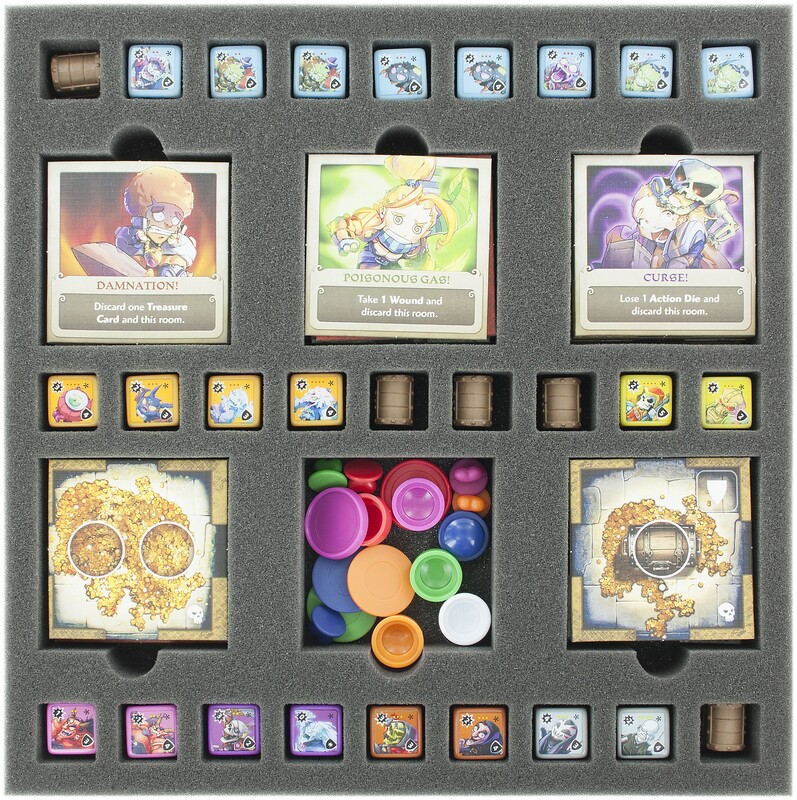 Luke the Lucky and 15 free compartments for monster dice. 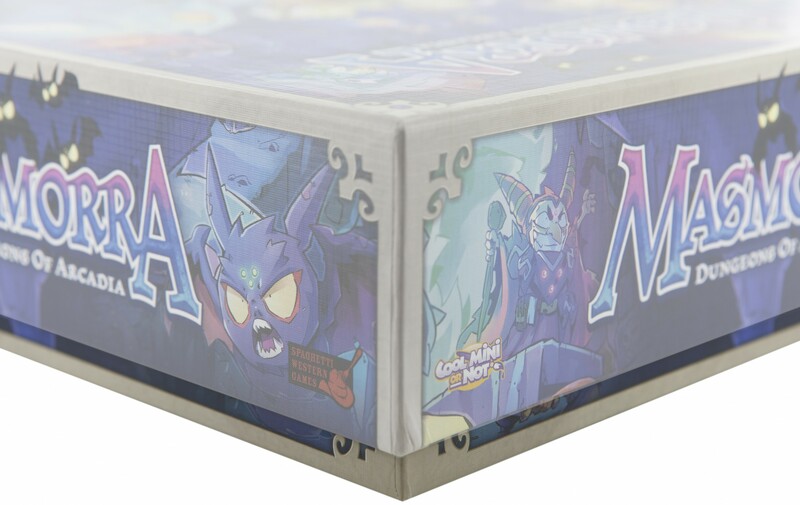 Foam extends slightly over the edge of the board game box. 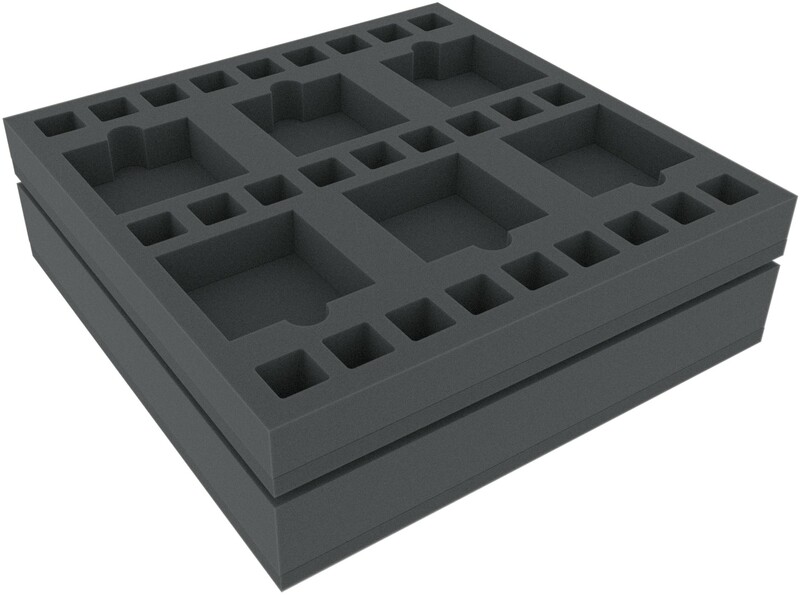 The 35 mm tray offers 33 compartments. 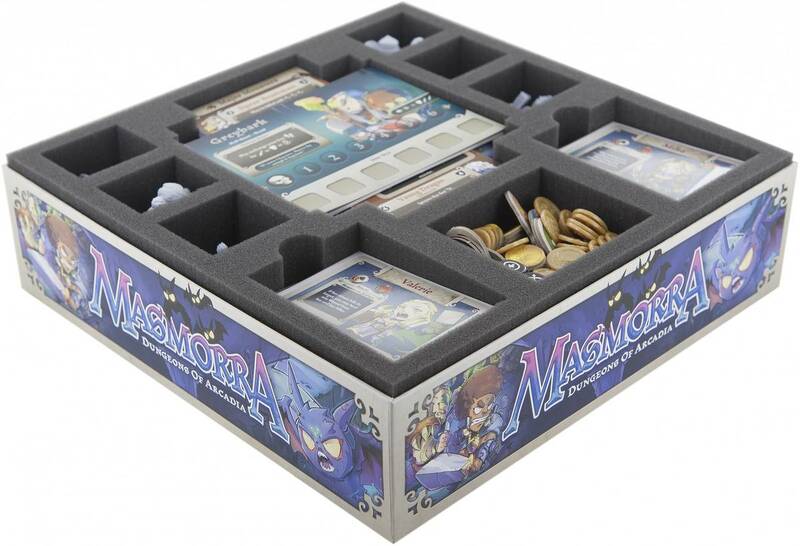 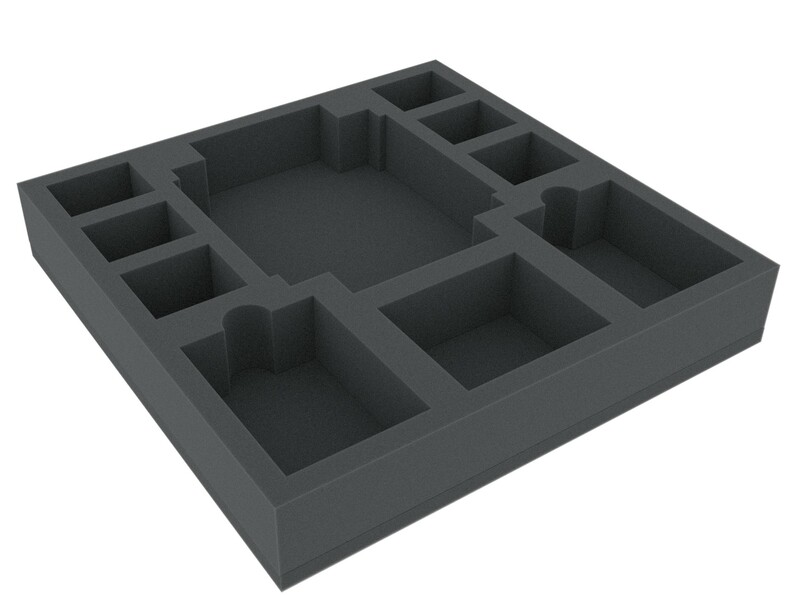 The 50 mm tray offers 10 compartments.